This month’s campaign is about how unethical and unregulated breeding causes health problems in pets. But, did you know, it causes other issues as well? In the UK, the situation with unwanted and abandoned dogs is the worst in 30 years. Our rehoming centres are bursting with “status” dog breeds that have a macho image such as German shepherds, Rottweilers, and Staffordshire bull terriers. And, the number of dogs bred for fighting is also on the increase. 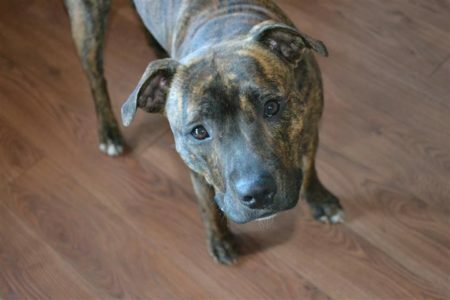 The issue is especially prominent with Staffies, with 7 in every ten stray dogs in the UK thought to be Staffies or Staffie mixes. In 2013, more than a third of the dogs housed at Battersea Dogs and Cats Home were Staffies. Despite their reputation, Staffies are lovely dogs. In fact, they are the third most popular dog in the UK. They have a calm nature, are not naturally aggressive and are one of the few breeds the Kennel Club recommends as suitable around children. Unfortunately, though, some people buy them for their look, wanting to appear impressive or threatening. Mistreatment, neglect and bullying are common, and owners often encourage aggressive behaviour and use Staffies in illegal dog fights. This fixation on Staffies is driving demand and opening the door for unscrupulous breeders looking to make a quick profit. Consequently, puppies are not adequately socialised and become a handful for owners unprepared for the commitment. Thus they, and those that can’t fulfil their owner’s expectations for fighting, end up abandoned or in rehoming centres. 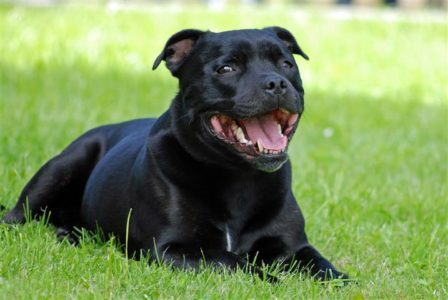 Read more about Staffies on our blog ‘Be AnimalKind: Love a Staffie’. 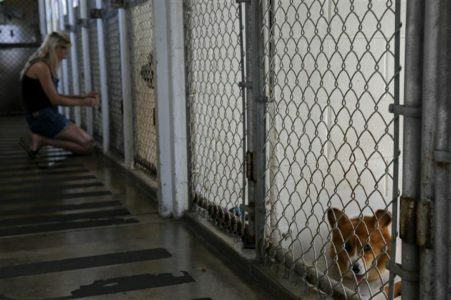 Encouraging more people to opt for rescue dogs instead of buying from breeders. Because breeding dogs that are already overcrowding rescue and rehoming centres will, ultimately, only contribute to the problem. Blog by OneKind Planet writer Steph Rose.